Water has had its 15 minutes of fame (see part 1 - the case for water) – it is now time to give oil a chance to take the podium. 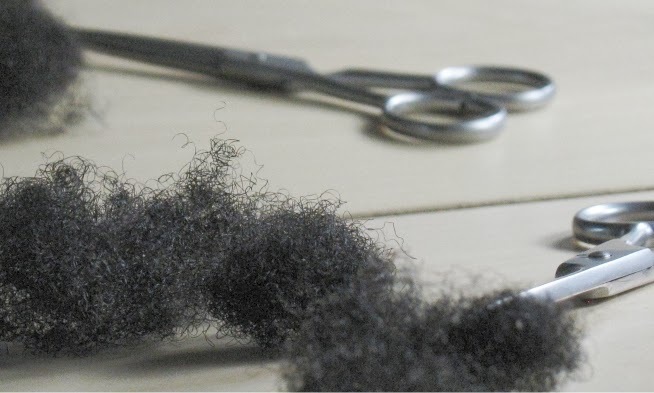 Have you ever wondered why you hair produces oil? Well, here is the long story. The cuticle (jog your memory here) that covers the hair shaft is produced in a near perfect state with few cracks or holes (voids). However, over time, handling of the hair (shampoo, towel drying, combing styling) etc takes a toll on this layer and it does develop some cracks and small cavities. This process is known as weathering. Curly hair (the curlier, the more influenced) is likely to have uneven distribution of natural oil (sebum) compared to straight hair (Journal of Cosmetic Dermatology, pg 120-126, 2008). This type of hair is therefore most likely to benefit from oiling. 2. Do your research, not every oil can give you the benefits listed above. In summary, both water/water based products and oil can benefit hair. You are probably doing too much if you think you are doing too much. Try and make your routine as simple and as manageable as possible for you. There is no single magic product (yet). I am a wash n' go girl so keeping my hair moisturized wasn't a problem until recently, when I decided to try braiding my own hair and experiment a little. It turns out that I need to do more to moisturize my hair - I just didn't know what ... until I read both parts of this article. In short, Thanks! Oh boy, it's really amazing how simple and easy a decent hair care can be. Thanks, JC, for giving us the plain facts. I have a question...in preventing hygral fatigue/hair swelling, do I need to apply coconut oil before and after washing, or just afterwards? thanks! @Mel - Coconut oil should be used before washing. In the study they applied the oil to the hair and left it overnight. Some coconut oil penetrates into the hair shaft preventing the hair from taking up too much water when it is washed. no problem mel - I will have to recheck the paper again to see if they proposed a shorter time scale for any other purpose. I'll get back to you!